Did you enjoy our week-long organization series? We hope that you did. 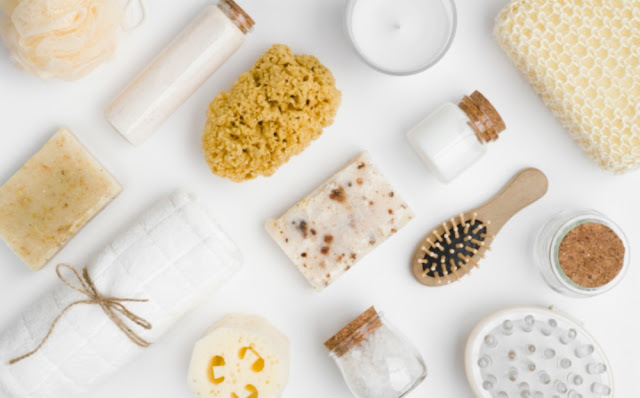 Now you can treat yourself to some "me time" and a few awesome new products! We gotta share a little back story -- There was a point in time that our schedules got busy -- real busy -- and a day at the spa wasn't an option. It was a time factor. So we got into the habit of doing "at home" mini spa days and then even that became a time issue. Well, you can only go at full speed for just so long until something's gotta give. And for us, when that something gave, we decided it was tome to go back to making self-care a top priority. Now, self-care is not a one-size-fits-all and what works for us may not work for everyone. But we're fairly confident that a mini-spa day could do nothing but good for all involved. So take an hour, or two, this weekend and try out a few of these products! Two amazing brands that just came onto our radar -- W!NK Spa and I Dew Care. Since our "me time" is so coveted we don't play. 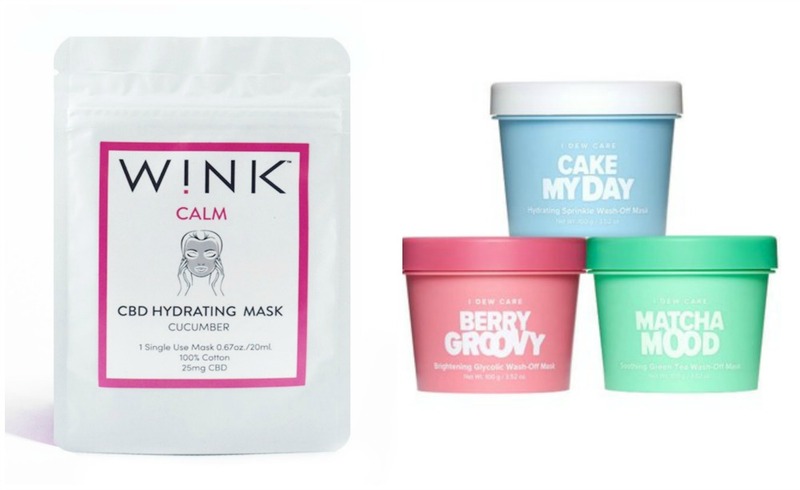 When it's time to relax and really chill, we reach for W!NK Spa Calm CBD Hydrating Mask. It's scented with refreshing cucumber and in 15 minutes we have gloriously moisturized skin. I Dew Care just launched three new wash-off face masks and there's one for whatever your skincare needs are. We kind of tend to get multiple types of masks so that we're always prepared for whatever our skin needs. The I Dew Care Ice Cream Collection sells as an pack of three Mini Scoops or individually. Included in the collection are Cake My Day, Berry Groovy, and Matcha Mood. Each targeting a specific need! Jeffree Star Velour Lip Scrub - Recently, one of our best friends brought us this lip scrub. And, never has "seeing is believing" been more true with Jeffree Star Velour Lip Scrub. It's one of the best scrubs that we've ever tried and there are tons of different flavors! We used the scrub and followed up with the mask below for a perfect pout! KNC Beauty All Natural Collagen Infused Lip Mask is a set of three insanely rejuvenating masks! Each sheet is infused with collagen and hyaluronic acid to leave your pout plump. This in conjunction with mega moisturizing rose flower oil, cherry extract and vitamin E kicked our winter lips to the curb! Rich Argan Color Protect Therapy Mask is just one more product from the RICH brand that we love! This nourishing mask offers intense hydration with Argan oil -- is free of sulphates and parabens, and offers UV and heat protection -- which is just what we needed after a brutal winter! A collection that recently dropped on the market is the Aveeno Rose Water & Chamomile Blend Collection and is fast becoming a fav. 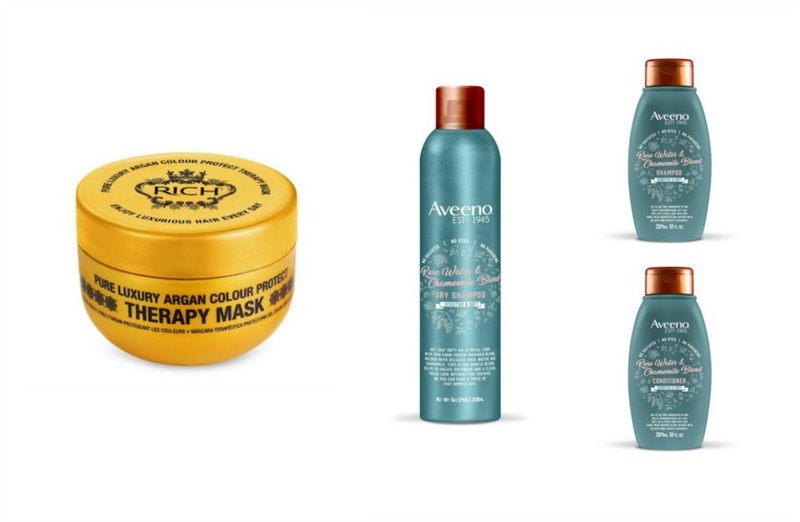 The Collection consists of Aveeno Rose Water & Chamomile Blend Shampoo, Conditioner and Dry Shampoo all of which contain a gorgeous blend of rose water and chamomile that is gentle on the scalp and smells delicious. Bonus is the price point of $8.99 each! Golden Door Bamboo Body Scrub is pretty new to the market. There is a reason why we love GD! And this body scrub reaffirms our love! It's a lavish blend of rich butters & skin loving oils that leave the skin smooth, soft and stunning! To round out your "mini spay day" give your feet some love. 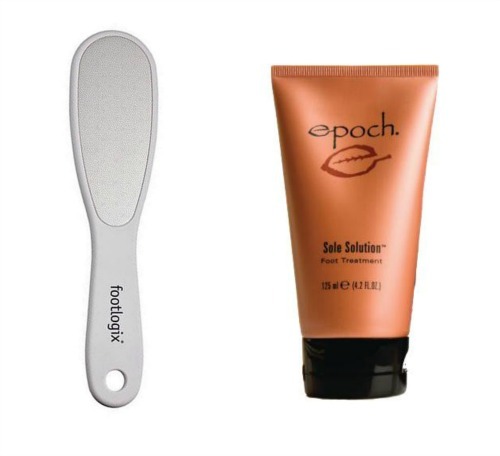 For us, the go-to products have got to be Footlogix Exfoliating Foot File followed with Sole Solution Foot Treatment by NuSkin. The combination of these two products absolutely does the trick! And of course you need some polish for those tootsies. 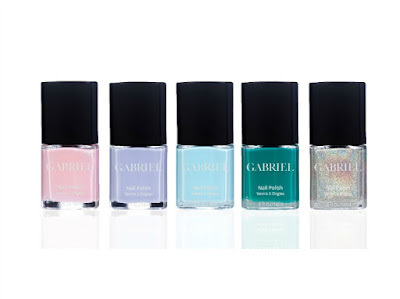 We're loving Gabriel Cosmetics Ephemeral Beauty Collection! This collection for Spring 2019 features 5 on-trend shades (each available individually too) in long-lasting, easy to apply, 10-free formulations!